Hi – enjoying the podcast. 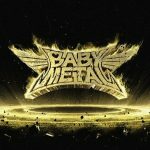 I wanted to point out a couple of things at the beginning about Babymetal that I thought should be cleared up. First, the Kami-Band only play live with the girls. They aren’t on the album. The album features LEDA on guitar and bass, and the drums are programed – so not played by a human being. Road of resistance was a collaboration with Dragonforce and it’s Sam Totman and Herman Li on guitars. Oh and you should check out the live video of Road Of Resistance – I feel like it’s better than the studio version. I’m not sure where you got this idea that they have two drummers and four guitarists. Please check out some live videos. GJ! and Sis Anger is “Black Babymetal” – which is when Yui and Moa sing, and live Su-metal takes a break. I love the Kami Band but you’re giving them way too much credit – like I said they’re not on the album. Please check out the wikipedia page for this album to view the list of the virtual army of songwriters and arrangers. Tales of the Destinies and The One share a motif and were intended to be a sort of longer piece. If you listen to TotD again you’ll hear the melody played faster near the beginning, and the piano outro is the same melody. The girls didn’t know anything about metal. They were in Sakura Gakuin, which is a j-pop group with like 12 girls. SG has sub groups and these girls were chosen for the heavy music sub group – which was an idea by producer Koba-metal (Key Kobayashi) who is a huge fan of metal. So they didn’t grow up liking metal. 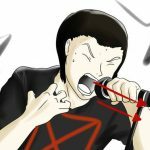 If you watch any SG videos, IMO it becomes clear that Su-metal had more vocal talent than the other girls in SG. Yui and Moa were extra cute and had great personalities. They were envisioned as angels that float around Su-metal. Anyway these girls have been in the business since they were single digit ages and if it weren’t for the idea of Kobayashi we would most likely never have heard of them. So far, it doesn’t seem that this info should affect our review of the album, and should it at any point (pro or con), it will most certainly be addressed in our ‘Year in Review’ episode, come December. Furthermore, love to hear fans catching motifs we missed. Listening back, the similarities between “Tales of the Destinies” and “The One” are much more apparent. Also interesting to hear more about the music background of these ladies — an uncommon career path to say the least. Anyway, we hope you enjoyed the analysis; we certainly had a blast spending time with the album. Thanks for your devotion to the group, and of course for your attention to detail! Rock on! 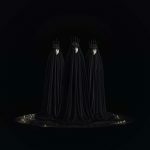 oh and it’s too bad you couldn’t discuss “From Dusk To Dawn” – it’s a very unique track compared to the rest of the album, reminds me a little of ISIS or something similar. oh I also thought it was cool that you all enjoyed Sis Anger a lot. That’s a favorite of mine as well despite the lack of Su-metal. From what I can tell the much is lost in the translation of the lyrics. I’ve read comments that say it’s considered somewhat vulgar language, which is interesting to me considering their generally squeaky clean image. It might be their first proper rebellious metal song.